It’s a great time to make sure you’ve got all your ducks in a row for the year ahead. When it comes to insurance, there are a few things you might consider working on to make sure the new year goes smoothly for you and your business. Setting aside some time for review may help you catch potentially expensive “silly” mistakes before they cost you money. Commercial insurance is very specific. Every “t” needs to be crossed, every “i” dotted. 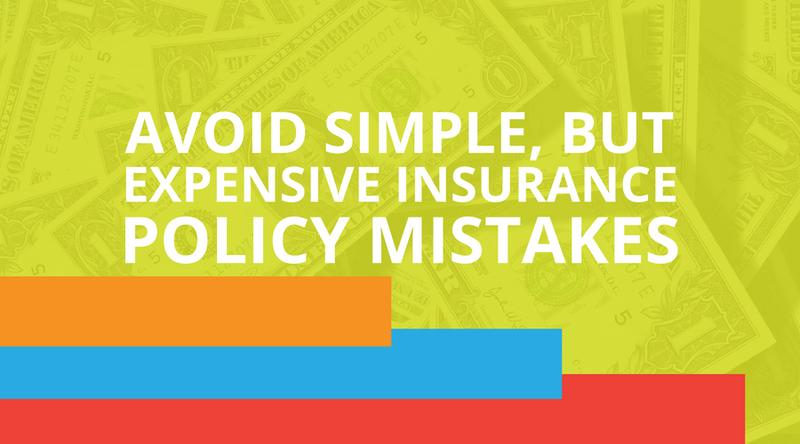 Unfortunately, many people don’t review their policies frequently and when it comes time to file a claim, they discover that the insurance company won’t pay out because the details in the written policy doesn't match the details of their business. If you’ve moved offices or for some reason the original address on your policy was just incorrect, you may be in for an expensive surprise if you need to file a claim. Liability insurance can be similarly specific and there’s a good chance your details and coverage needs have changed in the past year. Making sure your policy matches your current contact information and business activities is critical to limiting your out-of-pocket expenses in case of a claim. It might also be a good time to make sure you’re buying the right level of coverage. If you’ve had a good year financially, you may want to increase your coverage to protect your increased net worth. If you’ve had a bad year, you may want to scale your coverage down. So if you got your new policy and filed it away never to be read again, now’s the time to dust it off and review the details. If you need help deciphering your coverage or making sure critical details are accurate, we’re glad to help. Give us a call and we can schedule a time to sit down and review your coverage so you can be confident you're fully covered.